TOP FURTIVE: How To Make Your Android Led Flashlight Blink On Receiving An Incoming Message, Call, Alarm Or Notification. Are you ready to do something crazy with your Android Camera Flash Light? Here’s the post that will really surprise you keeping you that even android can have some stunning features like iPhone. In last post I discussed how to make your iPhone’s LED flashlight blink on receiving incoming message, call or notification by using inbuilt option/feature in iOS. Similarly you can do the same with any android device having flashlight facility. 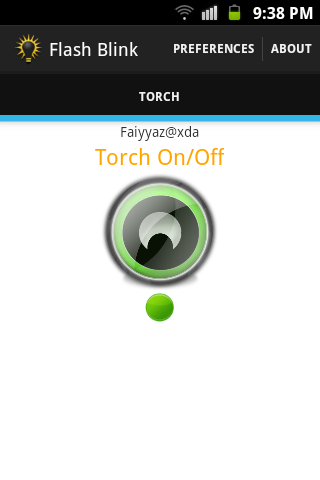 A developer on XDA-Developers developed this app that can blink your LED flashlight on incoming call. You May Also Like: How To Make Your iPhone’s LED Flashlight Blink On Receiving An Incoming Message, Call Or Notification. To do this you have to just follow the simple steps given below. Download and install ‘Flashblink.apk’ on your android device. To download this app, click here. Next go to 'PREFERENCES' in top right corner of the screen. Here you will find different options where you can select when to blink the LED flash light i.e. on incoming message, call, notification and alarm. Customize by selecting the appropriate options according to your use. 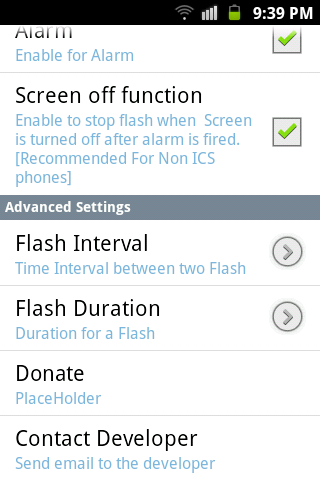 You can also set ‘Flash Interval’ and ‘Flash Duration’. Flash Interval will set time interval between two blinks while Flash Duration will help you to set duration of blinks of your Android LED flash light. Here, you can also use this app as the torch light. There are many apps available on the Google Play Store but I found this as the best and stable app. Here's the video which show how your android device looks when you use this app. For further information and forum, click here. Artikel How To Make Your Android Led Flashlight Blink On Receiving An Incoming Message, Call, Alarm Or Notification. ini dipublish oleh Unknown pada hari . Semoga artikel ini dapat bermanfaat.Terimakasih atas kunjungan Anda silahkan tinggalkan komentar.sudah ada 2 komentar: di postingan How To Make Your Android Led Flashlight Blink On Receiving An Incoming Message, Call, Alarm Or Notification.